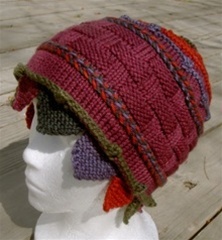 Look for something to do with you left over hanks, scraps, or chunks of yarn? Some of our ideas are relatively well known, but it never hurts to be reminded! Pompoms for adorning future projects or decorating gift wrap. Coffee cozy for your coffee cups – Try using drastically different yarns in different parts. 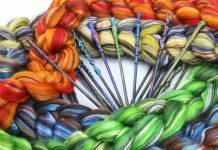 With fine yarn: knit book marks or crochet small jewelry. But have you thought about knitting some small squares with odd patterns to sew onto the front of greeting cards? When you’re looking for something to do with swatches this is a great way to personalize cards and is a little gift in itself! Speaking of swatches you can use your left over to bind many little swatch pieces into one larger piece. There are some amazing blankets, scarves, and bags made of little squares. Thinks of your swatches at quilting squares! 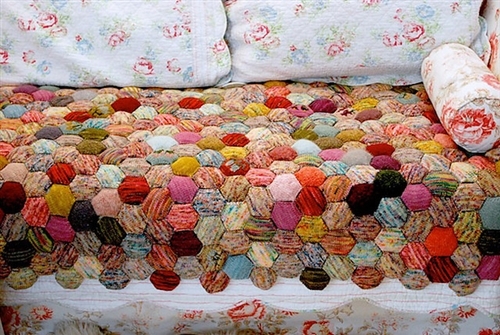 The Beekeepers Quilt is a great example of many small pieces becoming something large and amazing! 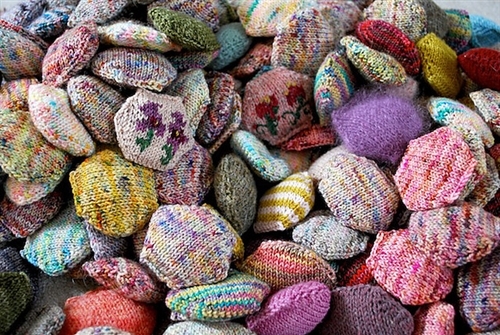 The quilt is knit of many hexagons that are stuffed with fluff to make little ravioli pillows of yarn. Then the collected pillows are stitched together to create a textured three dimensional blanket. 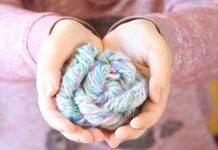 Tiny Owl Knits created this for a simple on-the-go project that would let you use many different yarns as need be. 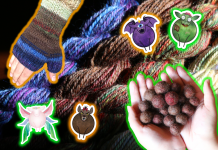 We love this project for its creative versatility it is designed for sock yarn, but can be adapted with some time and math, to work with many different yarns. The Beekeepers Quilt is definitely a long term quilt, making many individual pieces but you can shape as needed and adapt as you want to. Or if you’re looking for satisfaction a little faster you can try some tiny projects!.. 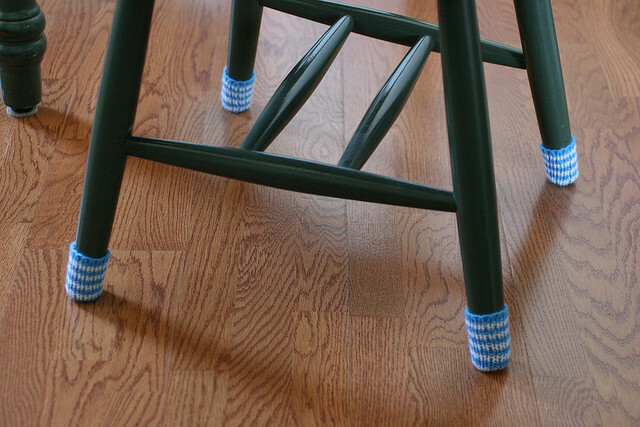 You can find the rough pattern or loose outline for a way to protect your hardwood floors with Flashdance Chair Socks / Legwarmersby Adventuregurl. These tiny socks prevent scraping your floors with double pointed needles and a little time. Here they all match but crazy colors and textures might add some celebration to plain white or natural wood colored chairs. 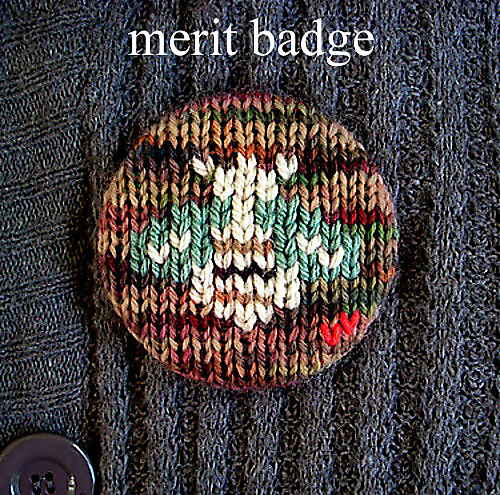 If you’re looking for something to take with you, or to give to loved ones how about Knit badges! This is an amazing project for the people in your life that never had the opportunity to earn merit badges and it might be good to make one for yourself if you’re up to making a few. Badge 20 other badges made? This pattern is from Ravelry as a free download, chalklegs has a few other patterns a for small projects, including star charts for the Zodiac. 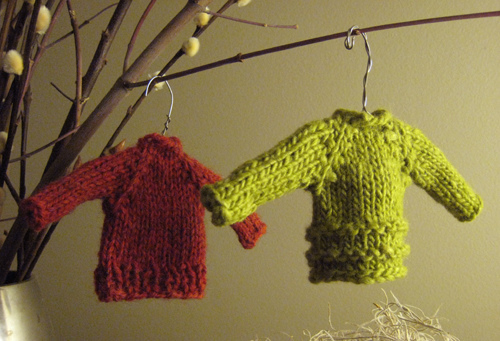 We also found tiny knitted sweaters that would honestly work as a gift any time of the year. Furthermore, if your not a large size project knitter, its a great way to give someone the sweater they keep asking for. The pattern “Cheers!” in FetchingKnits by Cheryl Niamath has no needle size or gauge specified in the pattern because its made to be used with leftovers from your stash! the thicker the yarn the bigger the sweater, which no matter the yarn will still be small. 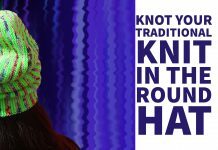 The “magic ball” is made by tying ends of short pieces together, winding into a ball and knitting as is. Small amounts of saved yarn tied end-to-end into a large enough ball to make whatever project you have in mind. 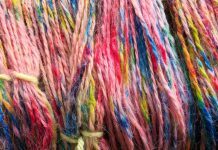 We’ve read about the “rule” with this yarn is to never untie to change the colors or texture pattern. Some people have kept the yarn tails loose with no weaving in so the project has one smooth side and a fuzzy side with yarn tails. This sounds amazing! If you try it please post some picture and send a link this way we’d love to see everyone’s different projects! If you have super small scrapes, left over for seaming here are two great ideas! Rolled Beads from tiny scrapes. In grade school we made beads by rolling scrapes of paper around straws to make beads and then coating the whole thing in plenty of glue. You can do the same think here with yarn and elmer’s glue. 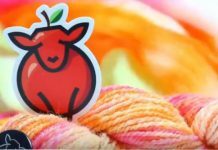 If you want to keep the yarn soft and your have lots of experence with superglue you can adapt the process by only having glue against the straw that function as your core and the yarn that is press against it. BE Careful and it might not hurt to wear gloves as well. 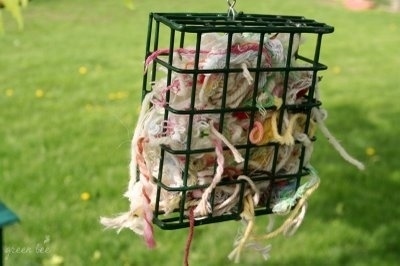 Finally if you live where there are plenty of nesting birds you can fill a suet feeder with small short scraps of natural yarns for birds to build their nests with. Make sure that synthetic which won’t bio-degrade outdoors over time are not being abandoned outside. If you do this you’ll save some horse tails and maybe see your yarn in a nest if you keep an eye out. 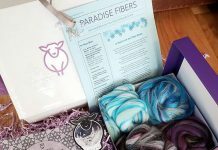 These are just some of the options that we’ve brainstormed as we do our Spring cleaning and just keep finding bags of left over yarn from our winter projects. If you have any great ideas for what to do with leftover leave a comment below, we’re always looking for new ideas!